NOTE: Competition use only, not street legal or CARB approved. Take your N63 BMW to a whole new level in performance with this all new BMS N63 JB4 Processor!! !NOTE: In order to get the correct N63 harness make sure to check your production date. All N63 models produced prior to January 2011 have a different harness then compared to the N63's produced after January 2011. Are you ready to reach into the full potential of your BMW N63 engine? Burger Motorsports (BMS) has finally released the N63 version of the JB4. This BMS JB4 will instantly boost your power gains, giving your car a totally different feel, with more power and better throttle response. 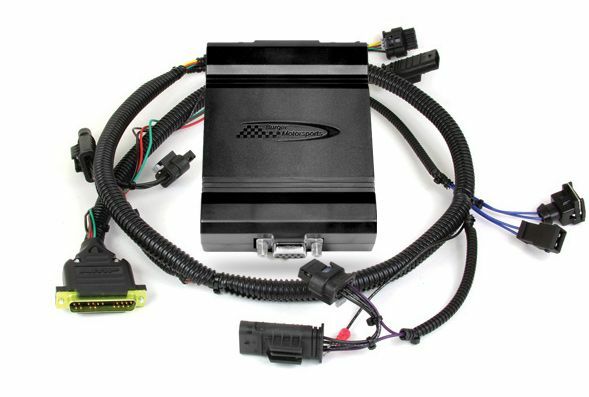 This plug and play tuner attaches to sensors in the engine bay and works with your factory DME tuning to remap your boost, timing, and fueling for optimal performance and reduced turbo lag. Installation is very discrete and it quickly removes without a trace when needed. Fuel economy during normal driving is unchanged. Prior to ordering review the install guide and take a photo of your MAP sensor. Email it in so we can tell you whether you need the TypeA harness or TypeB harness.